The traditional owners, fighting against the Adani Group's $15.95 billion mining project in Australia, have told United Nations (UN) Rapporteur Michel Forst that the Indian business giant and the government have used “coercive powers under Native Title and State Development legislation” to acquire their land. The move follows the state government of Queensland this week invoking what the indigenous people termed “draconian powers over the rights of the community” as it was “feeling the heat from the extractive industry lobby and their political and media mates”. 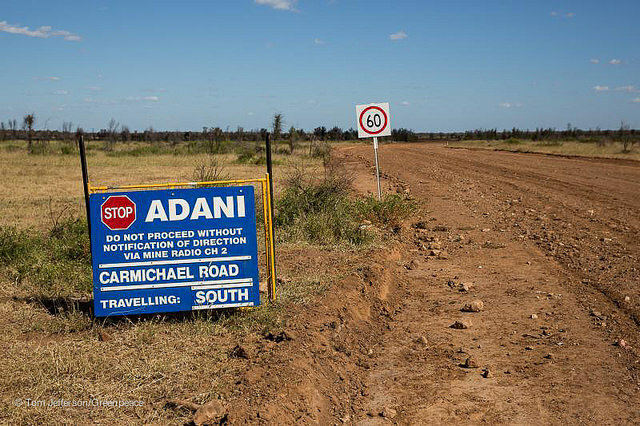 Currently in Australia to assess the overall environment for human rights defenders and civil society in the country, Forst was told that the declaration of Adani’s Carmichael coal project as 'critical infrastructure' by the mines minister Anthony Lynham, was “a political absurdity”, an “egregious failure of the Queensland government to respect their rights. In a written representation to Forst, the W&J council told the Special Rapporteur that they have three times rejected a land use agreement with Adani Mining, “but neither the government nor the mining company respect our position”. 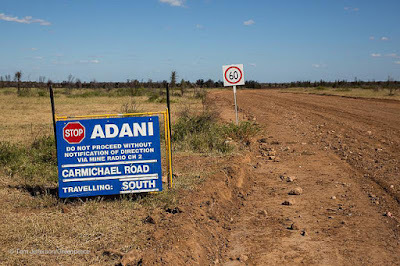 “Earlier this year, and without our consent, the Queensland government issued the mining leases for the mine, and Adani mining claims to have reached a land use agreement allowing it to proceed. But we are currently fighting these moves in the Courts and will continue to defend our rights and stand in defense of our country and culture”, said Burragubba. “The system is neither free nor fair for Aboriginal people. We were subject to legal coercion and inducements while our internal decision-making processes were actively undermined by the Government and the mining company”, he said. “We are forced to fight for our survival because state and federal legislation does not assure our rights to our traditional lands and to our culture. Our international legal right to free, prior and informed consent is not protected under Australian law, and Adani has actively exploited this”, he insisted. On a two-week visit at the invitation of the Australian government, the Special Rapporteur is meetingboth federal and state level officials, parliamentarians, various rights commissioners and ombudsman, as well as human rights defenders and a broad range of civil society representatives from various parts of the country. The Special Rapporteur will share his preliminary findings and recommendations at a press conference on October 18. His final report will be presented to the UN Human Rights Council in a future session.